This is one of the most effective tools to grate ginger. 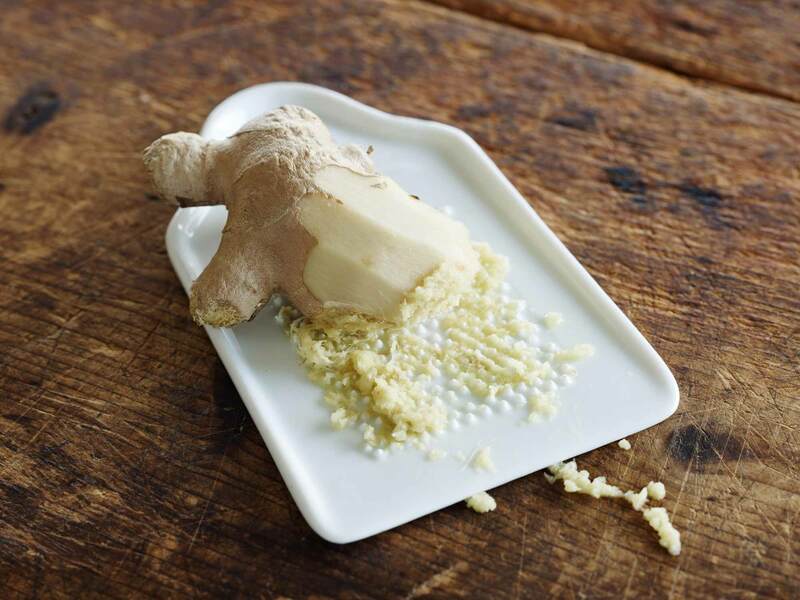 A small slab of porcelain is studded with pointy teeth which grate the flesh of ginger to a fine puree leaving the fibre attached to the piece of ginger. Genius. After use, a quick rinse under running water frees the grater of small fibres and it’s ready to dry and put away; avoid washing in a dishwasher because the tips of the teeth can be knocked off rendering the grater less effective. The finger hole (not visible in the pic) can be used to hang the ginger grater. Why do these Japanese porcelain graters work more effectively than other ginger graters? On closer inspection you will see the rows of pyramid-shaped teeth run in opposite directions, one row facing slightly up, the next one facing slightly down. That’s enough to work the magic. The grater can also be used for daikon radish, and for nutmeg, parmesan and even Brazil nuts but you will need to wash it with a brush and detergent if using it for the last three ingredients. btw outstanding style and design. Glad to be one of the visitors on this awesome web site :D.
A spoonful of smoky salsa sure peps things up!